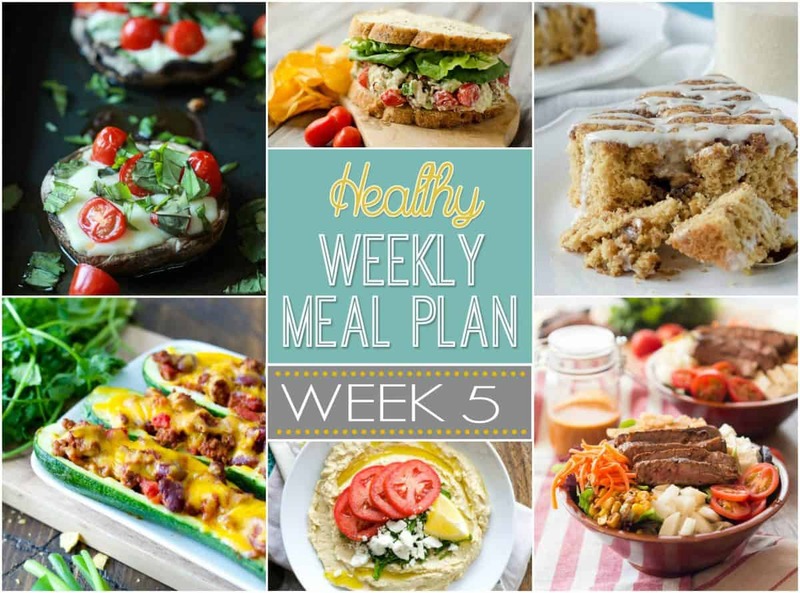 Welcome to the fifth week of our Healthy Meal Plans! How have you liked the past four weeks? Have you found it helpful? 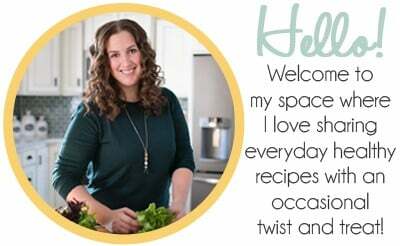 Have you had a chance to make any of the recipes? I know I have! Since this was the first officially week of school we wanted to make sure that we kept quick easy AND healthy meals in this weeks meal plan! 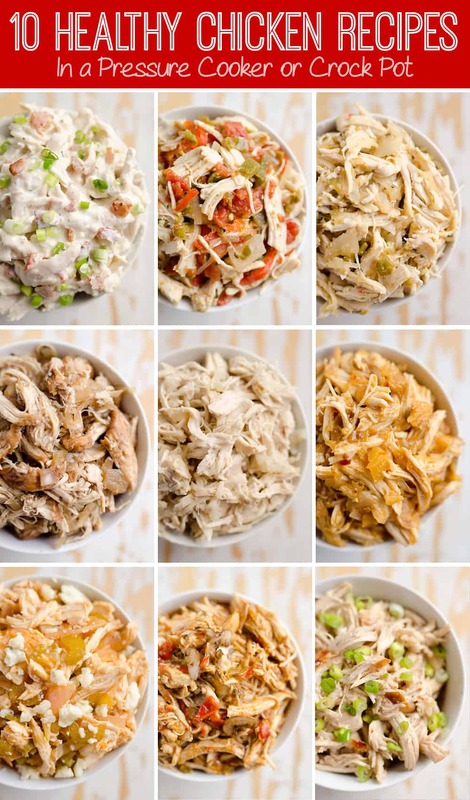 This week we have a wide range of delicious dinners! Some with Tex Mex flair, comfort food, summery desserts, and sweet and spicy Asian dishes! 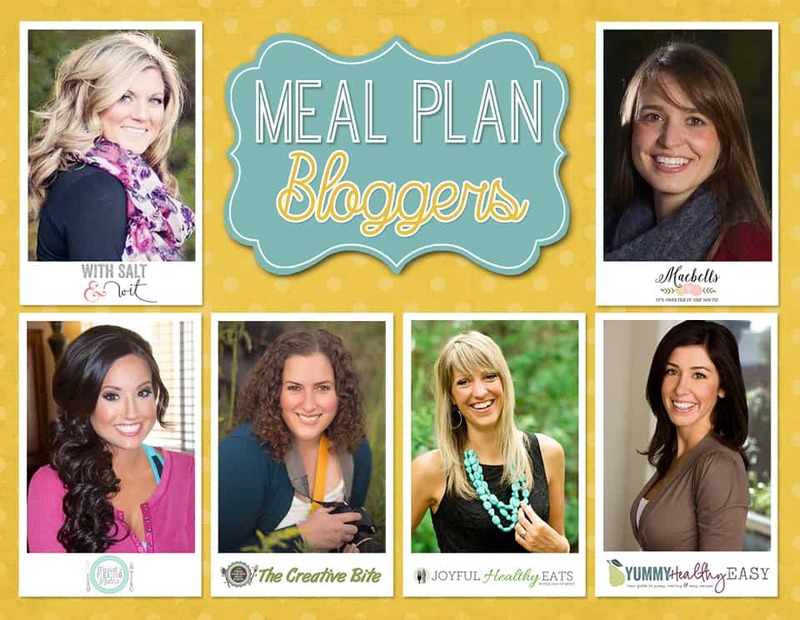 We also have some great ideas for breakfast, snacks, lunch and dessert! 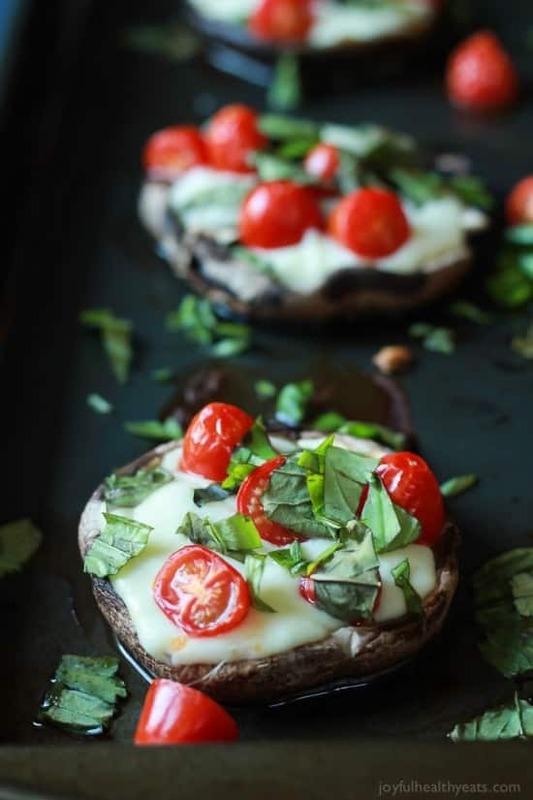 Mini Portobello Margherita Pizzas, an easy low carb way to make pizza – done in 15 minutes. The perfect recipe to feature for Meatless Monday! 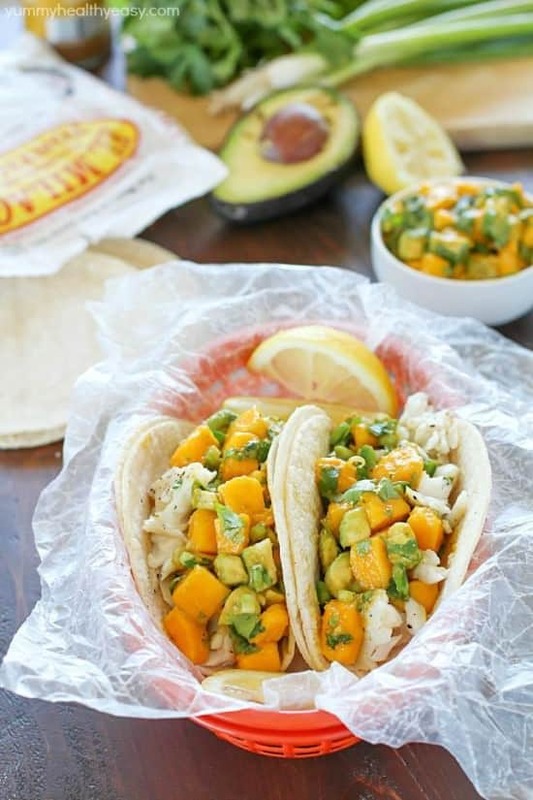 Taco Tuesday is a must at our house and these Fish Tacos with Mango Avocado Salsa are on our “hit list”! Since it’s the mid point of the week sounds like comfort food is in order! 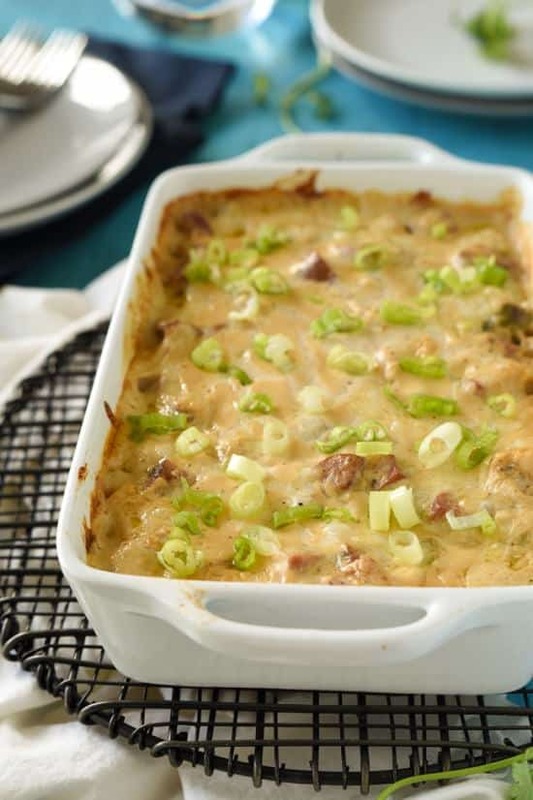 How about this Creamy Cajun Chicken Lasagna – it’s spicy, filled with protein, and creamy pasta goodness! 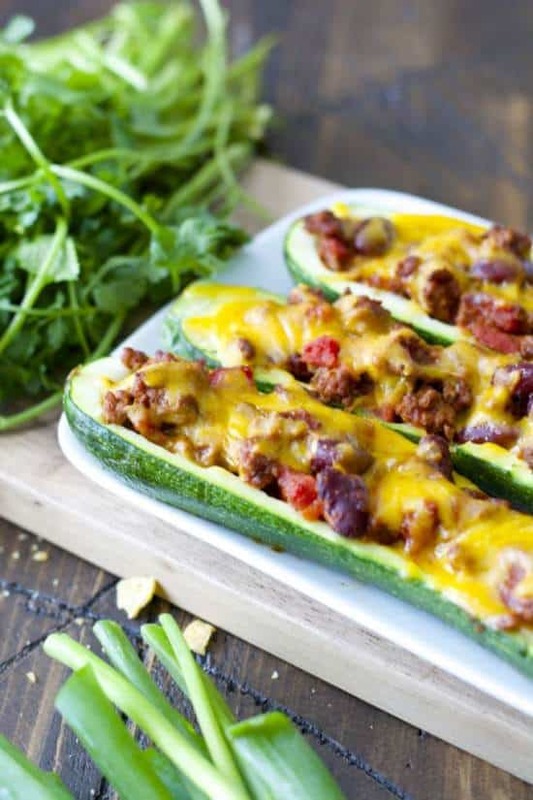 These Chili Cheese Stuffed Zucchini Boats are perfect for busy weeknights! Zucchini stuffed with a Chili Cheese mixture and topped with Fritos for a healthier version of a classic! 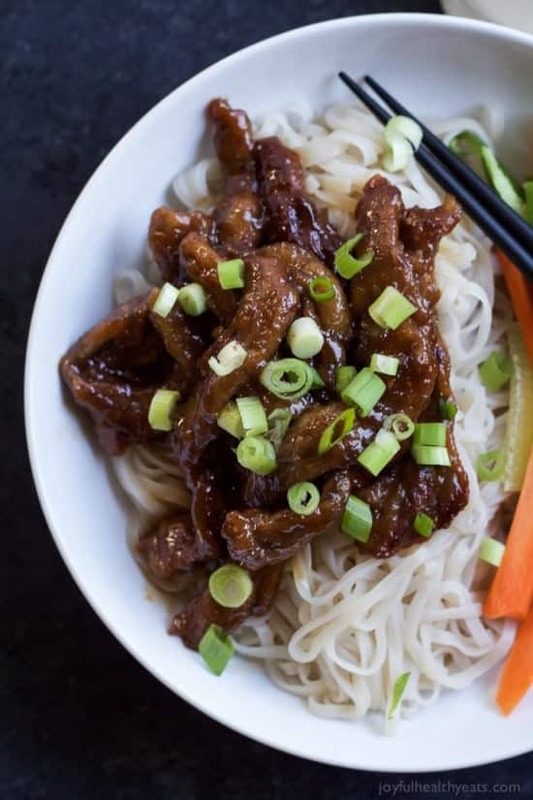 Honey Sriracha Mongolian Beef with Rice Noodles , forget the take out make your own, its easier than it looks. This recipe is filled with light healthy ingredients and takes 30 minutes to make! 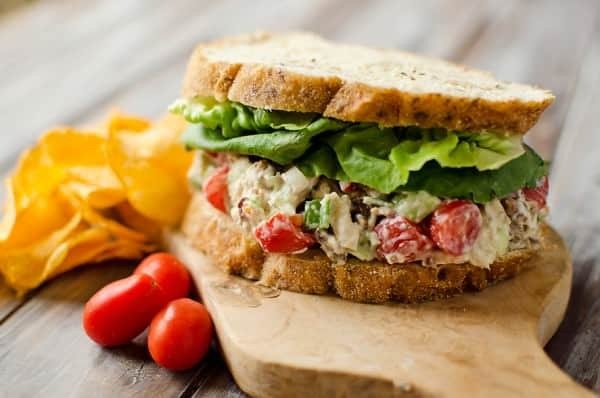 This Light Ranch BLT Chicken Salad Sandwich makes a fantastic light and healthy lunch loaded with flavor! 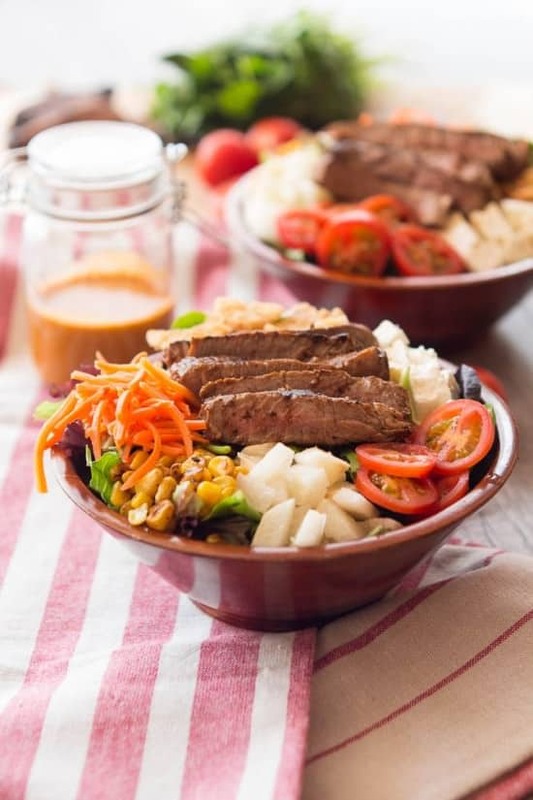 Southwestern Steak Salad, juicy steak salad, loaded with crunchy fried onions, crisp veggies, and a smokey chipotle vinaigrette. 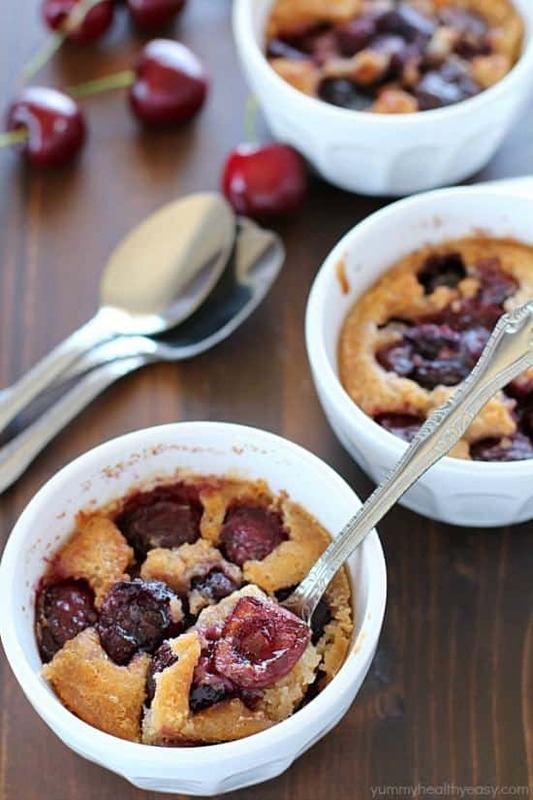 Don’t let the summer go by without making these Mini Cherry Cobblers! Mini is always better, built in portion control! 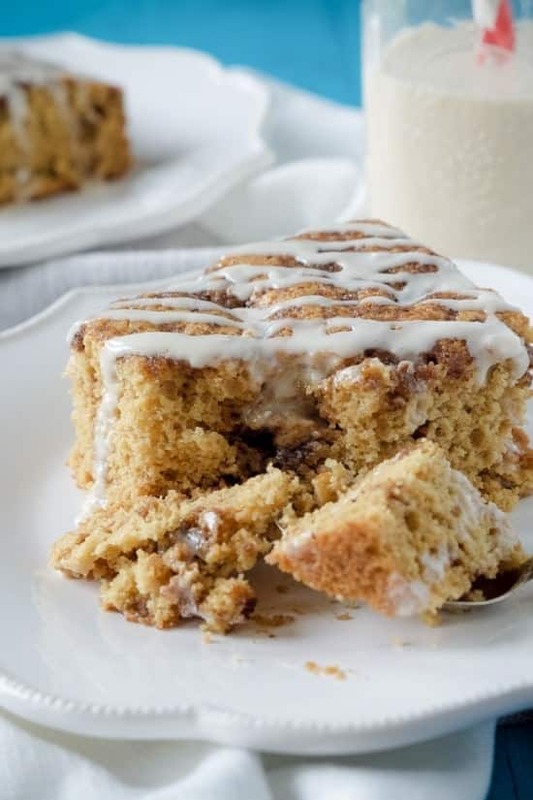 Sunday mornings call for relaxation, a cup of coffee, and a slice of this Caramel Macchiato Coffee Cake! 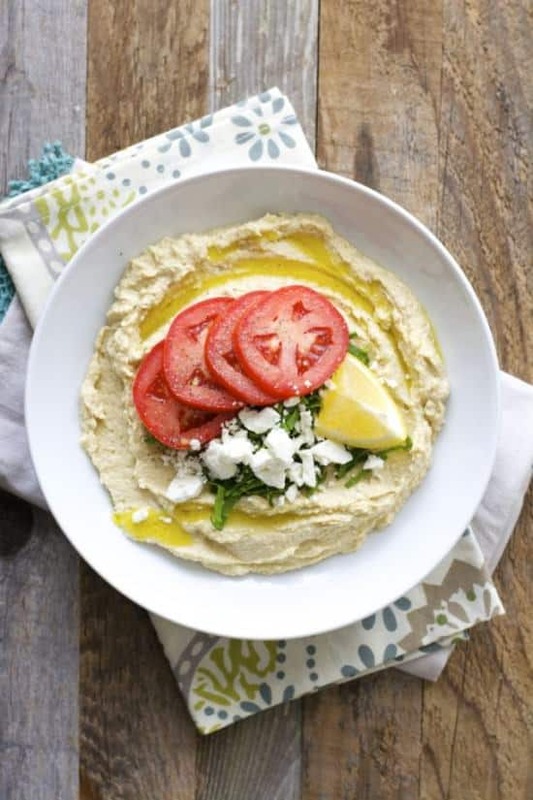 An easy Greek inspired Feta Hummus, perfect to snack on before dinner! Serve with warm pita bread or crunchy veggies! 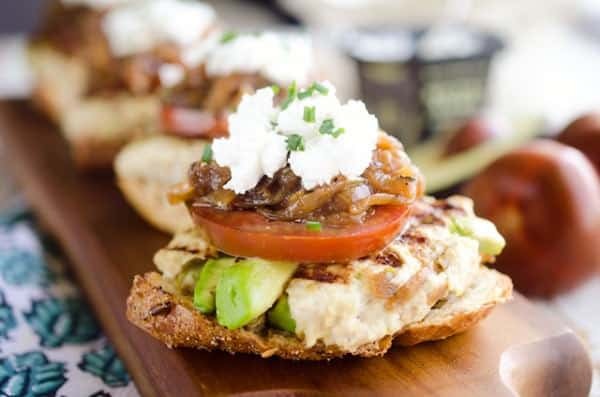 This lean turkey burger is loaded with caramelized onions and avocado to keep it moist and topped with the best burger fixings for the Ultimate Turkey Burger Slider your family will love! 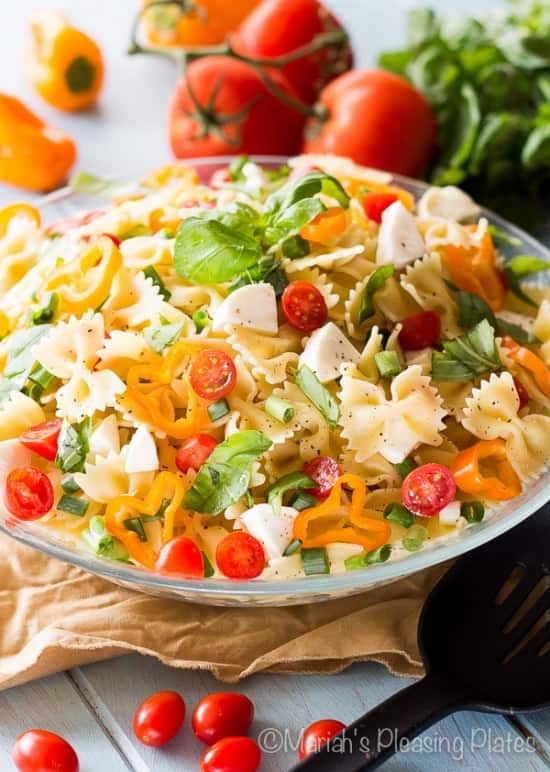 Every entree needs a killer side dish and this Caprese Pasta Salad is that! Filled with fresh mozzarella, sweet cherry tomatoes, lots of basil, and topped with a tangy roasted garlic balsamic vinaigrette.